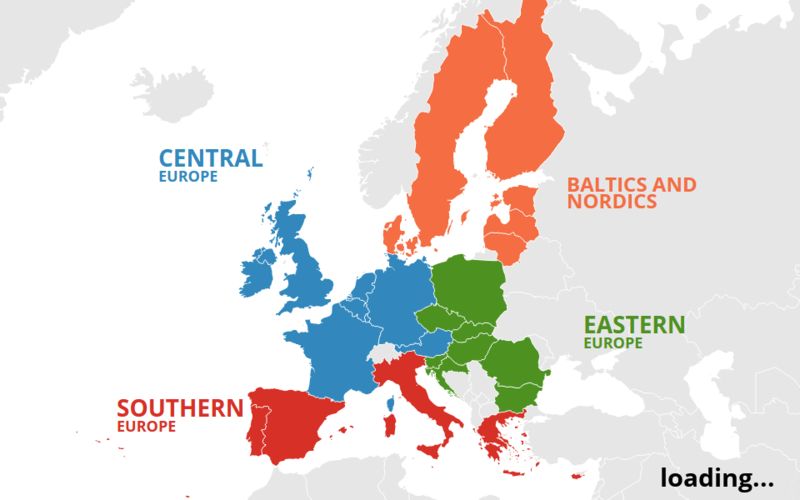 The interactive Map of the European Union below shows the milk self-sufficiency rate and other key information with breakdown by region: “Central Europe”, “Southern Europe”, “Eastern Europe” and “Baltics and Nordics”. Click on the country of your interest for detailed information. The chart show, for each month, the milk production in that month plus the production of the previous 11 months. With this method is always considered the total production in a time window of 12 months, so it is possible to identify the trend without the effect of seasonality. * Import/Export in milk equivalent (ME) of liquid milk, yogurt, condensed milk, Cheese, SMP, WMP. The data doesn't include exchanges between countries in the same area.